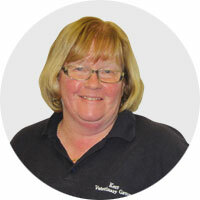 The Kerr Vet Group practice was established in 1988 by Mr Kerr in Bridge of Weir and Johnstone. It has gradually grown to its present size of 3 full time veterinary surgeons along with 2 veterinary nurses and 9 support staff. Our aim is to provide a local friendly and caring veterinary practice, and to ensure that your visits to us are as pleasant as possible. 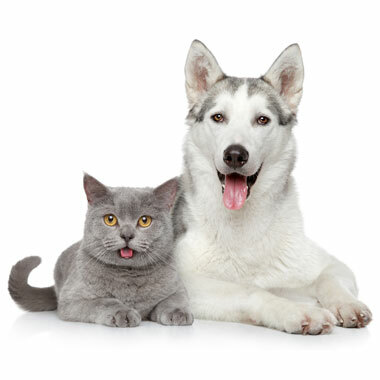 Our veterinary surgeons are dedicated to providing the best care and attention available. We achieve this through thorough examinations backed up by laboratory tests, x-ray imaging, ECG examination, and other diagnostic tests, mostly done in house. 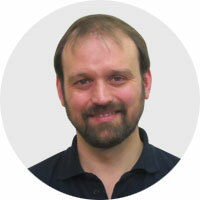 Since graduating from Edinburgh Veterinary School in 1998, Owen spent time in Stoke-on-Trent, Australia, and East Kilbride. He joined the practice in September 2008, and got married later that autumn and they now have 2 boisterous boys, Rory and Adam. Owen and his wife Emma moved into Kilmacolm in February 2010. Owen has been a partner in the practice in April 2013 and became sole owner of the business in April 2017. 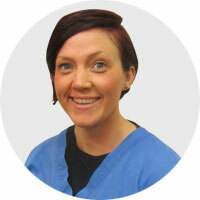 Originally hailing from Cumbernauld, Natalie graduated from Glasgow Vet. 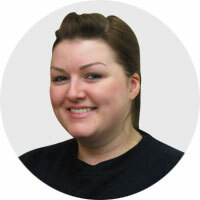 School in 2012 and has worked for 2 years in Cheshire before moving back North to join us. She lives in Kilmalcolm and married Iain in 2015. May joined our team after graduating from the University of Glasgow in 2017. In her spare time, May enjoys climbing the Munro’s with her two dogs Molly and Abby and enjoys spending time with her pet sheep hoody! May enjoys heading North into the Scottish wilderness and has started to learn Gaelic. 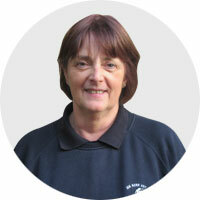 Since 2005, Sheila has worked part-time on reception. She currently works mainly at Bridge of Weir 4 evenings a week, but occasionally at other times. Was originally our Johnstone surgery receptionist from 2006 till 2013 but has now moved to work full time at Bridge of Weir. 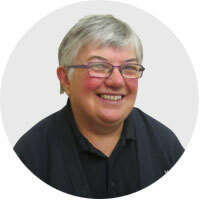 Susan works on reception part time in both surgeries, mainly at the weekend, but also a little during the week and tends to be around more when covering for other staffs holidays. She lives in Paisley and worked for many years at Ross Hall Hospital. 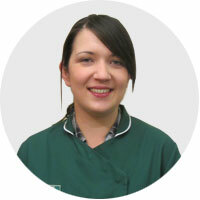 Elaine joined us in March 2012 as a qualified Veterinary Nurse. She juggles working part time for the practice with looking after her young family. Cheryl and Fiona are our Johnstone surgery receptionists and between them cover all the weekday and Saturday surgeries. They occasionally help out at Bridge of Weir when required. Vikky joined us in 2014 as our receptionist, having previously worked at a local cattery among other places. She also has links to a local rescue group and lives in Erskine with her partner Alan. 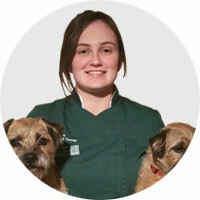 Regularly we have work experience school pupils or vet students seeing practice around both surgeries.